Smaw cumulus humilis cloods that can hae noticeable vertical development an clearly defined edges. 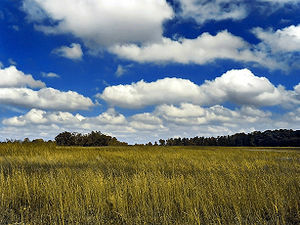 Cumulus cloods are a genus-teep o law-level clood that can hae noticeable vertical development an clearly defined edges. This page wis last eeditit on 13 Februar 2018, at 07:13.